John Mitchell was born in Birdwood, Illinois, on 4th February, 1870. Orphaned at the age of six he was brought up by a strict Presbyterian stepmother. The family were poor and at the age of fifteen Mitchell was working as a coal miner in Colorado. He joined the Knights of Labor in 1885 before leaving for the United Mine Workers of America (UMWA) five years later. After marrying Katherine O'Rourke, a miner's daughter, in 1891, Mitchell used the local library to teach himself history, law and economics. He became increasingly active in the UMWA and in September, 1898, became its president. 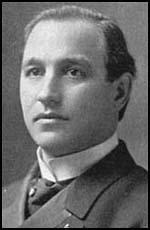 Mitchell led the Anthracite Coal Miners strike in 1902 and was successful in uniting immigrants from various different European countries during the struggle for improved pay and conditions. He received much praise in the way he conducted the strike and President Theodore Roosevelt, who became involved in the negotiations, described him as a "real gentleman". In 1903 Mitchell published his book, Organized Labor: Its Problems, Purposes, and Ideals and the Present and Future of American Wage Earners, where he argued that the prosperity of the capitalist and the worker was linked and it was possible to develop a harmonious relationship between the two groups. Some union members criticised Mitchell for his lack of radicalism and in 1908 he resign as president of UMWA. The author of The Wage Earner and His Problems (1913), Mitchell served as chairman of the New York State Industrial Commission (1915-19). John Mitchell died on 9th September, 1919. No one can understand the true nature of trade unionism without understanding the industrial revolution and what it is accomplished. The history of mankind has been more virtually affected by changes in its machines and its methods of doing business than by any action or counsel of statesmen or philosophers. What we call the modern world, with its huge populations, its giant cities, its political democracy, its growing intensity of life, its contrasts of wealth and poverty - this great, whirling, restless civilization, with all its vexing problems, is the offspring merely of changed methods of producing wealth. The condition of workmen in the textile and other factories was incredibly bad. The day's work was constantly lengthened, in some cases to fourteen, sixteen, and more hours, and while not difficult, the labor was confining and nerve-wearing. There was little provision for the safety of the workman, and terrible accidents were a matter of daily occurrence in the crowded mills and factories. Periods of feverish activity, during which men were worked beyond the limit of human endurance, were succeeded by still more harassing periods of depression, when thousands of men were thrown into the street. 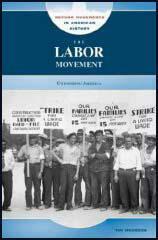 The labor organization as it exists today is the product of a long evolution. The constitution of the trade union, its by-laws, its customs and traditions, its practices and policies have all been the result of a gradual working out of particular remedies for particular problems. The constitution of the trade union, moreover, has been evolved by and through the efforts of workingmen. The trade union is a government of workingmen, by workingmen, for workingmen, and the framers of its constitution have been workingmen. Formerly, the great majority of immigrants came from England, Ireland, Germany, and the Scandinavian countries, from countries, in other words, where conditions of life and labour were, to some extent, comparable to those of the United States. At the present time, the source of immigration shifted from northern and western to eastern and southern Europe, and from men with a higher to men with a lower standard of living. The illiteracy of the immigrant has become more pronounced. This illiteracy, amounted in some cases to sixty-five to seventy-five per cent, debars the newly arrived immigrant from many trades, makes it more difficult for him to adapt himself to American conditions and American manners of thought, and renders it almost inevitable that he fall into the hands of the sweater and exploiter. The practically unrestricted immigration of the present day is an injustice both to the American workingman, whether native or foreign-born, and to the newly landed immigrant himself. As a result of this practically unrestricted and unregulated immigration, the congestion of our large cities is so intense as to create abnormally unhealthy conditions. The average immigrant from eastern and southern Europe brings with him from eight to ten dollars, which is about the railroad fare from New York to Pittsburg and is hardly sufficient to support him for two weeks. It is inevitable, also, that he remain where he lands and take the work offered him on the spot.